RV Repair Whitehorse | Home | Fireweed RV Services Ltd.
Come by for all your RV repair and service needs. We carry a complete range of products necessary for your RV or trailer RV. From structural repairs to solar panels, our certified technicians can meet your needs. 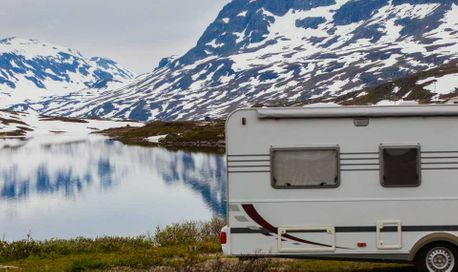 Reliable Repairs and More in Whitehorse: Fireweed RV Services Ltd.
Fireweed RV Services, in Whitehorse, provides professional, courteous and reliable recreational vehicle service and repairs. 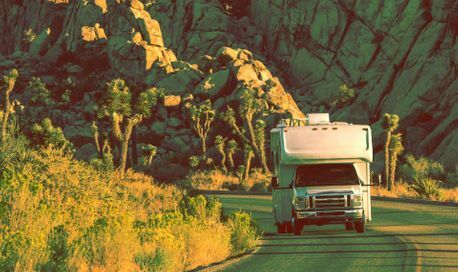 Whether you are a new owner or renter of a recreational vehicle or have had one for a long time, we are committed to keeping you on the road to enjoy worry-free travels. We have a drive-thru bay, ample parking, and a waiting area to provide you with the most convenient service possible. We’re open year round so you can get your RV serviced whenever you need it. Our team offers professional service you can trust. Our certified RV technicians offer expertise in propane systems, structural repairs and water and sewer systems. We also provide a great selection of RV parts and accessories. Our sales staff is very knowledgeable about the latest available products. Winterizing your RV is an important step to avoid problems with your vehicle later on, such as broken pipes or heaters. You should also have your RV “summerized” and checked before you begin your trip, to ensure everything is working. Winter, spring, summer or fall, our shop and repair bays are open all year long. 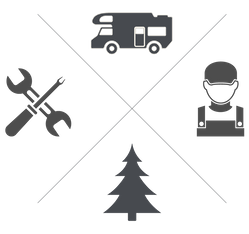 Whether you need a repair or you are looking for a new part or accessory, we offer the expertise your recreational vehicle needs. Visit us in Whitehorse today and request a free estimate. We had a brake problem while travelling in Yukon, that I couldn't resolve myself. I took my trailer to the dealer for that manufacturer but they couldn't fit us in (a long story about booked solid, mechanic off sick, etc). I then called Fireweed. The guy said they were busy, but would try to fit me in later in the day (Friday) or Saturday morning. He asked me to describe the problem I was having (intermittent short and overload signal on the brake controller, especially when the roads were wet). He said he would put money on his phone diagnosis - the small gauge wiring that runs through the axle was frayed and shorting out, aggravated when the axle got wet inside. "They are all like that. It makes no sense. Ninety five percent of brake problems we see are related to that wire. We rip the wire out of the axle and replace it with a double insulated heavier gauge wire, mounted on the outside of the axle at the back. We probably do a hundred a year." To make a long story short, they squeezed us in and got us going again the same day - and only charged $175. I applaud their honesty and willingness to help us back on the road. They worked overtime so we didn't have to leave the trailer overnight. I highly recommend them to anyone with RV problems in the Yukon.